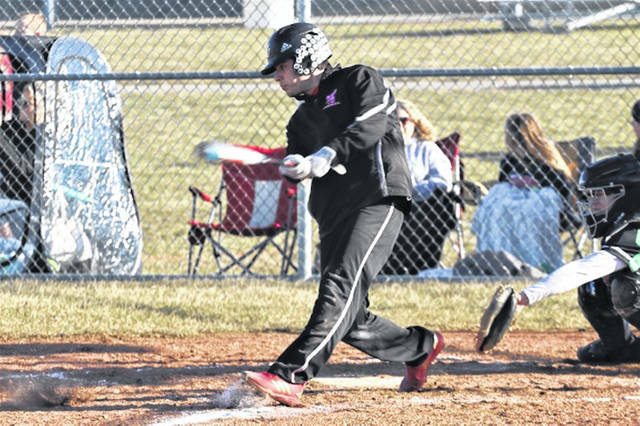 Mississinawa Valley run rule game vs Bethel. MV Coach Max Guillozet presents Trent Collins with a game ball signed by players and coaches following no-hitter over Bethel. Trent Collins throws a season opening no-hitter for Mississinawa Valley in 14-0 run rule win over the Bethel Bees. 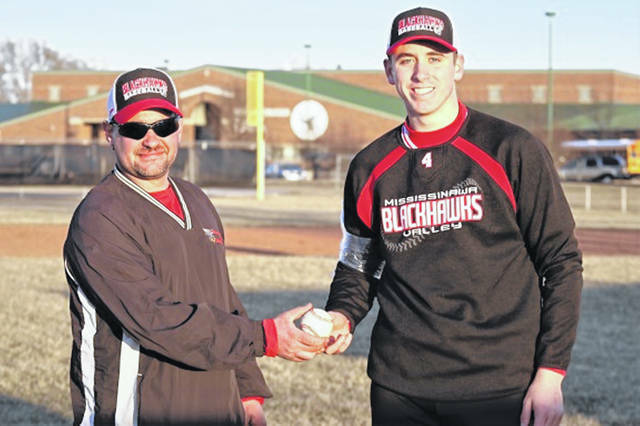 UNION CITY – Trent Collins tossed a Tuesday night 14-0 run rule no-hitter against the visiting Bethel Bees to give Mississinawa Valley Blackhawks coach Max Guillozet his first no-hitter in nine years at the helm of the Hawks as well as his first coaching win over Bethel. 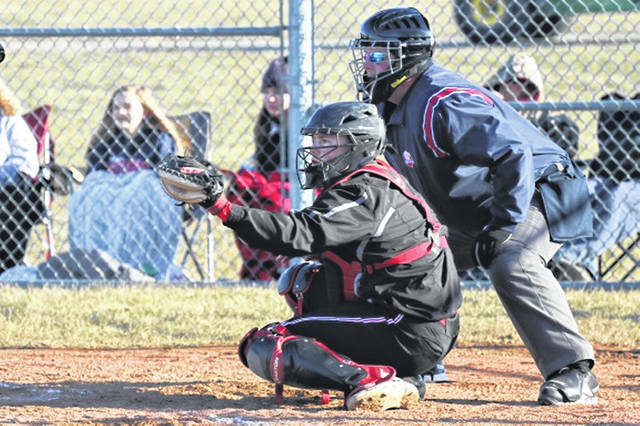 “That’s the first pitcher I’ve ever had at the high school varsity level throw a no-hitter here in the eight or nine years I’ve been coaching,” said Guillozet. Collins was in control on the mound the entire night throwing 44 strikes while only tossing 33 balls, striking out 11 and walking three on his way to a season opening no-hitter. The Hawks sent 13 batters to the plate in the bottom of the first to take a 9-0 lead after one complete. After a second inning opening walk, Collins quickly sat the Bees down by way of three consecutive strikeout, the first two swinging and the third looking. 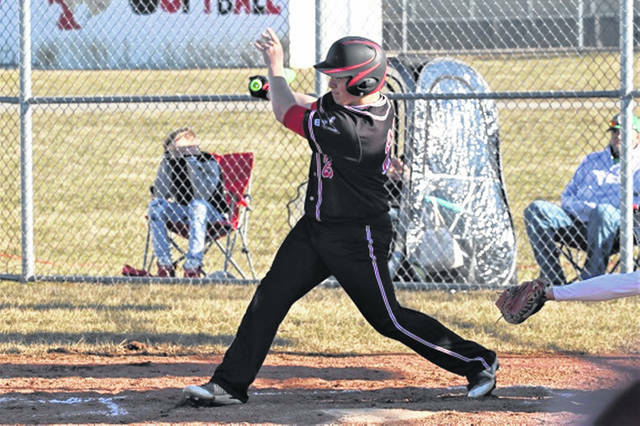 Mississinawa Valley added two runs to the board in the bottom of the second to extend its lead to 11-0 with the teams heading to the third inning of play. Neither team would dent the plate in inning No. 3; the only inning MV would go scoreless on the night. Collins struck out the side in order in the top of the fourth as the big right hander got stronger as the game went on. Mississinawa plated three runs in their half of the inning in what would prove to be the Hawks last plate appearance of the night. 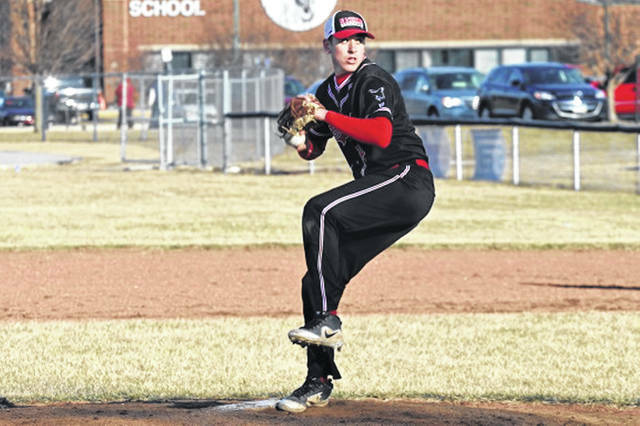 Collins used his 10th and 11th strike outs of the night with the Blackhawks setting Bethel down in order to give the Mississinawa senior a 2019 season opening no-hitter. Zach Longfellow went 3-3 with 3-RBIs and 2-runs scored, Cameron Shimp was 2-3 with 3-RBI’s and a run, Trent Collins went 2-3 with an RBI, Ethan Dirksen 1-3 with an RBI and a run, Kyler Guillozet 2-4 with a RBI and 2-runs, Xavier Manning went 2-2 with 3-runs scored, Hawk Thomas was 1-1 with 2-RBI’s and a run, Max Dirmeyer was 1-2 with 2-RBI’s and 2-runs and Cody Dirksen and Caleb Trobrodge each score a run for Mississinawa Valley. 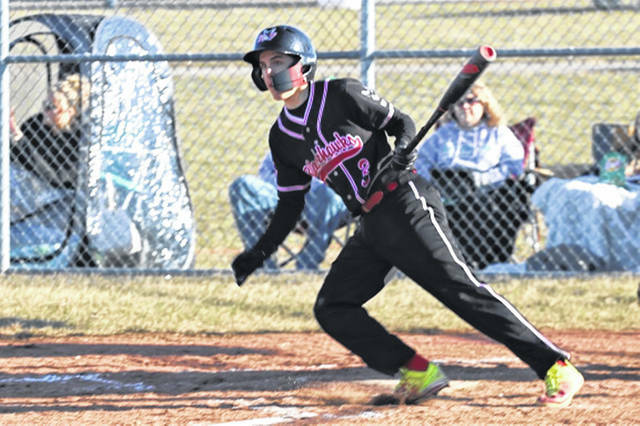 https://www.dailyadvocate.com/wp-content/uploads/sites/34/2019/03/web1_IMG_4621.jpgMississinawa Valley run rule game vs Bethel. 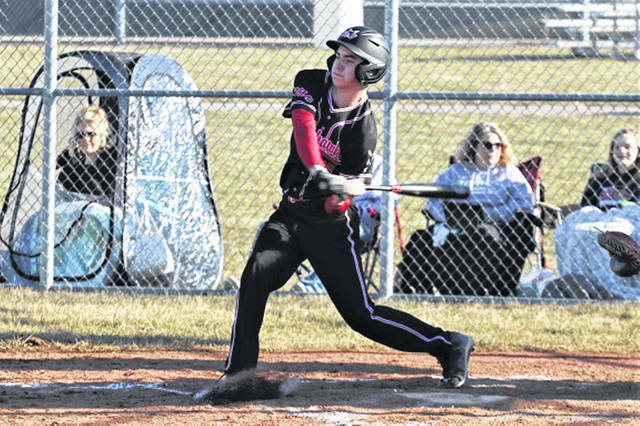 https://www.dailyadvocate.com/wp-content/uploads/sites/34/2019/03/web1_IMG_4652.jpgMississinawa Valley run rule game vs Bethel. https://www.dailyadvocate.com/wp-content/uploads/sites/34/2019/03/web1_Trent-with-ball.jpgMV Coach Max Guillozet presents Trent Collins with a game ball signed by players and coaches following no-hitter over Bethel. 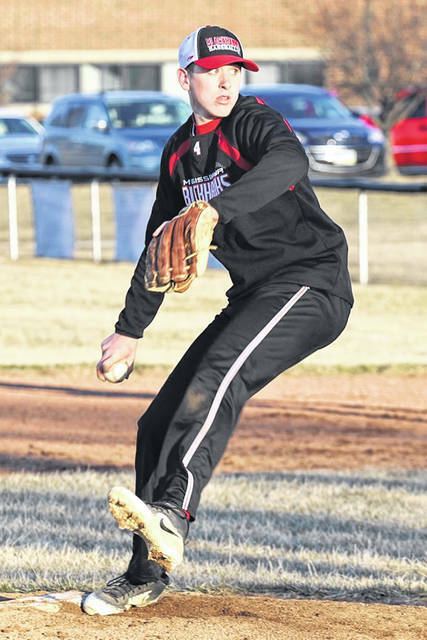 https://www.dailyadvocate.com/wp-content/uploads/sites/34/2019/03/web1_Trent-Collins-a.jpgTrent Collins throws a season opening no-hitter for Mississinawa Valley in 14-0 run rule win over the Bethel Bees.